The need for a refrigerated truck, van, or trailer continues to grow as the world of online ordering and home-delivery gains popularity. Reefer trucks are often used on a commercial level, supplying large chain grocery stores with perishable goods. Refrigerated vans, trucks, and trailers are also customized to fit the needs of any business, small or large. If it isn’t clear whether you need a refrigerated van or truck, then consider the following details. Restaurant delivery vehicles are an important part of the business as their menus become available online. To fulfill the online orders, they require a safe and quick way to deliver freshly cooked meals. Catering Businesses commonly rely on refrigerated vans to safely store fresh ingredients and prepared food. They often need customized units to accommodate all the food, cooking, and serving tools necessary for each event. 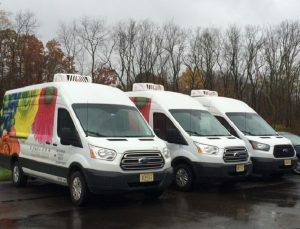 Delaware Valley Floral Sprinter and Transit reefer delivery fleet, uses ATC16-RT to guarantee freshness. Frozen Meat such as steak, pork, chicken, and seafood require refrigerated trucks to make deliveries. Large and small game meats like elk, venison, pheasant, and rabbit still need coolers, ice boxes, or refrigerated trucks to store them. Businesses that specialize in game and ground meats need refrigerated truck methods for safe distribution. Floral Distribution from big chain suppliers and local shops rely on refrigerated means to keep their flora and fauna as fresh as possible. 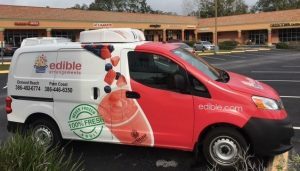 Edible Arrangements uses an ATC-14RT to ensure fresh product deliveries. Snack and Vending companies typically use a refrigerated truck or van to refill their machines. Without them, the soft drinks would be warm and the candy bars would melt. Food service and home delivery companies need refrigerated vehicles to supply their customers. Examples of such companies would include home grocery delivery, meal services, and deli delivery. The major factors to take into account when considering your own fleet of refrigerated vehicles is the type of cargo being transported and the driving distance. The kind of cargo helps determine the temperatures needed to maintain the quality of the products. The driving distance and number of stops helps determine what kind of refrigerated unit is needed to control the desired temperatures until the final destination and products are delivered. These details are needed to properly customize a vehicle and equip it with the right refrigeration system. Doing so will help save you time and money by avoiding costly mistakes. For example, buying high operating cost diesel units or buying a van and realizing the cargo volume doesn’t come close to the space needed for all the merchandise. Properly reviewing these details with van and truck refrigeration experts will help you understand all your possible equipment needs. Equipment options to consider are pre-kitting, adjustable shelving, dual cargo temperature controls, and wireless tracking. Pre-kitting helps consolidate routes and lower truck inventory in order to transition to smaller, more fuel-efficient vehicles. Adjustable shelving helps keep everything organized, which helps maximize storage space. Dual cargo temperature controls give the driver the ability to maintain two temperatures for sensitive cargo, like frozen goods and dairy. Wireless tracking helps you keep track of vehicle speeds, idle time, and fuel economy. These equipment options help save on operating costs by increasing payload efficiency and maximizing fuel economy. Additionally, it can help increase your businesses revenue stream by maintaining quality control of the products. 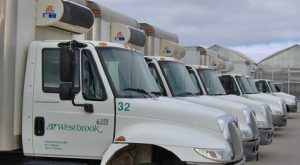 What kind of refrigerated truck do you need? Do you know the difference between a nose mounted refrigeration unit and a roof mounted one? Knowing this will help you better understand what mobile refrigeration entails and the best possible unit to use on your vehicles. Roof mounted units are designed for compact to large high top, extended wheelbase vans. Nose mounted units are designed for medium to large boxed trucks and trailers to support a variety of urban delivery applications. 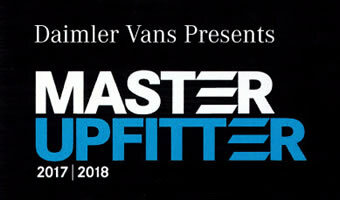 Finding the right experts who know about van and truck refrigeration is tough without knowing where to look. Fortunately, Advanced Temperature Control (ATC) has 30 years of experience in customizing, engineering, and manufacturing tough, reliable direct drive mobile refrigeration units and heating systems. 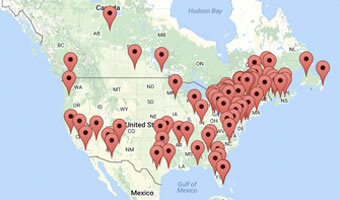 We have an extensive dealer network and offer a variety of options to meet mobile refrigeration needs. Don’t hesitate to contact ATC if you have any questions or would like to learn more about their services.